Wifi all over the place and car included! Golf, Cycle, Hiking & Co.
for recovery, the first minute onwards! 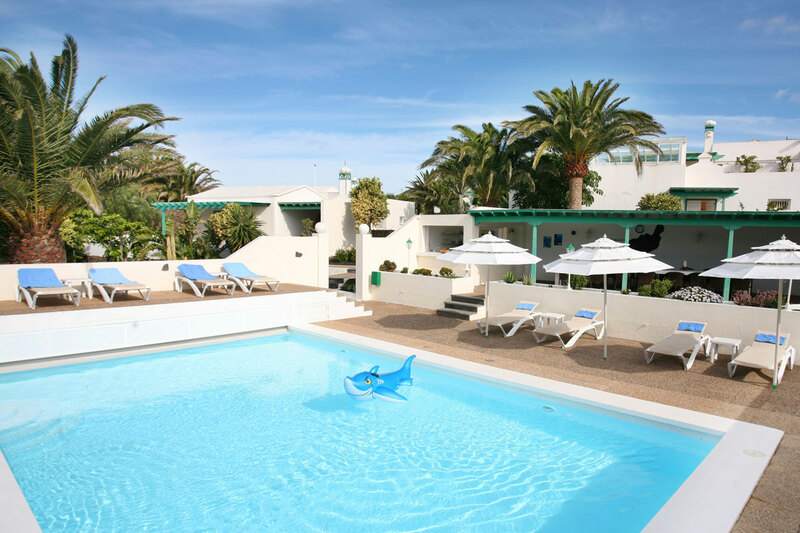 Holiday house Lanzarote – our five private holiday houses and one apartment on Lanzarote, including a pool and a magnificent panoramic view across the coast and the impressive volcanic landscape, provide the best conditions and possibilities to experience your dream holiday. 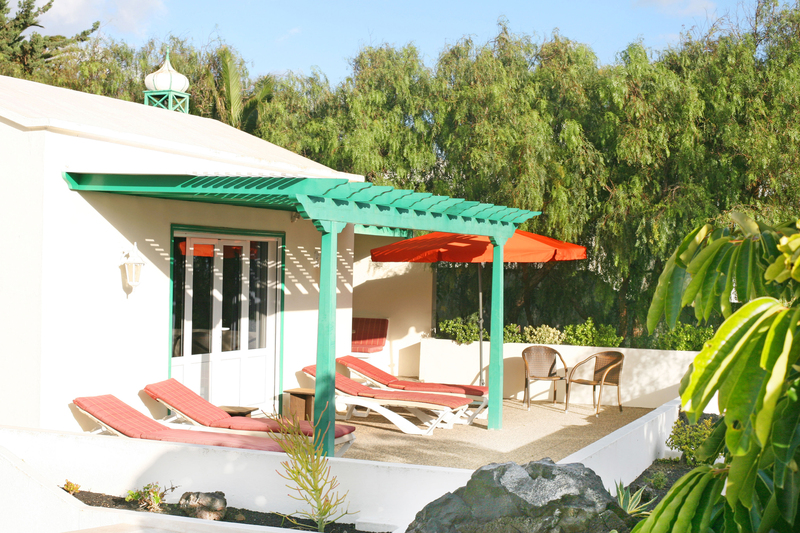 You will enjoy one of the 120 sqm large, comfortable furnished bungalows with additional 60 sqm of a private sun terrace - that is not visible from the outside – all by yourself! It is just “a bit more” than a holiday flat or a hotel room… The 15 000 sqm big area is beautifully laid out with flowers and palms: Our site of exclusive holiday houses on Lanzarote is a small paradise – you get away from everyday life the minute you arrive. 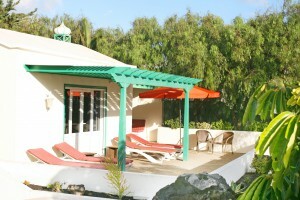 In our casas we offer relaxation as well as activities – sun pool and tennis court. The next golf course “Lanzarote Golf” is only five minutes away. Use the rental car that belongs to the holiday house to visit people and the surroundings – the hire car is included in the rental price. We will gladly help you out with planning your stay on Lanzarote and are looking forward to your requests! Valid in February und May 2019 only!